Ballerina 770 Turquoise/Multi Rug. The tranquil color hues in the rug add a graceful charm to your house, making it a home! This rug is all about comfort and ease, with a careful merge of chic and style. Geometrical design in form of multi colored checks is a complete stunner! Be it your kitchen, hallway, living room or your bed room, this rug will accentuate any kind of surrounding. 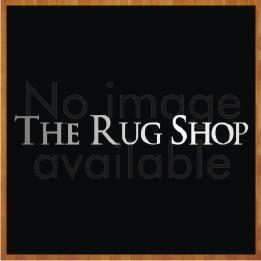 This flat weave rug is handmade and extremely soft and comfortable. Fashioned from Polyester Chenille with Cotton backing, this rug exudes high durability and resilience; hence can be used for heavy traffic areas of your home. Ballerina Rug Collection by Kayoom. Rugs connect us to our space. They complete not only the room, but the way you feel in it! Ballerina Rug collection will give you a glorious feel and give your home a stylish-classic appeal. Be it bold geometrics or scene-stealing graphical and abstract pattern or mesmerizing floral, this collection has it all. This handmade flat weave is designed to give your home a Vintage look. A rug can dampen the noise of footsteps, provide a cushion between your feet and hard floors, and serve as the anchor for any arrangement of furniture. Made from Polyester Chenille with Cotton backing, this rug exudes high durability, resilience, softness, comfort and is easy to maintain.